This low cost technology is the result of widespread efforts to develop a tool that can be used as a replacement for biopsy. Opto acoustic imaging is not first line screening tool. Instead it can help do away with unwanted biopsies that are costly and time consuming. It is minimally invasive technique that can help diagnose whether the breast lump is benign or malignant with high accuracy. Although the diagnostic tool is still in the clinical trial stages, opto acoustic breast imaging promises to be a boon for curtailing deaths, due to breast cancer worldwide. The procedure involves directing near infrared light of 2 different wavelengths between 550nm to 900nm at the site of suspected malignancy. The breast is subjected to laser light. In case the lump is cancerous it will absorb more light than surrounding healthy tissue and get heated. This will produce a momentary expansion of the tissues that will be propagated as broadband low amplitude sound waves. These sound waves are then picked up by a single sensor or array of sensors arranged in the transducer head that is placed on the breast. The sound waves picked up by the ultrasound transducer head are relayed to the computer to help generate two dimensional images of the area of interest. By measuring the time of arrival of the acoustic waves and knowing the speed of sound, an image can be reconstructed in a way similar to a conventional pulse-echo ultrasound image formed. An important difference between conventional ultrasound (US) and photo acoustic image formation is that with the former, localization can be achieved by focusing the transmit beam as well as the receive beam. Whereas in photo acoustic image formation transmit beams can get scattered due to different tissue density beyond 1 millimetre because of which only the receive beam can be focussed. The signals are analyzed and reconstructed to develop brightly colored high resolution images. Although photo acoustic and ultrasound image formation and resolution are essentially the same, the bases of image contrast are fundamentally different. An ultrasound image represents differential acoustic impedance mismatch between target tissues. Ultrasound image contrast therefore, depends on the mechanical and elastic properties of tissue. An opto or photo acoustic image represents the initial pressure distribution produced by the absorption of the light energy. This image can be taken to be proportional to the absorbed optical energy distribution, which depends on the optical absorption and scattering properties of the tissue. In fact, the property of optical absorption dominates and thus opto- acoustic image contrast is often said to be ‘absorption-based’. There are many other methods used to screen and diagnose breast cancer, with each one having one or more major drawbacks. Few common diagnostic tests include blood marker test, breast MRI, CT scan, PET, Chest X-ray, mammogram and ultrasound. 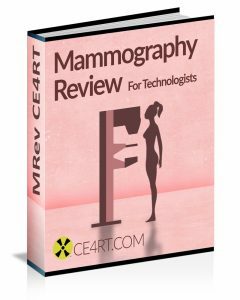 Mammogram and ultrasound are the more commonly used tests. All the above demerits are absent in the opto acoustic imaging technique. It is a non-invasive, cost effective and easy to administer functional imaging test. It does not require appointing highly trained personnel. Radiology technicians can be trained in a very short time. 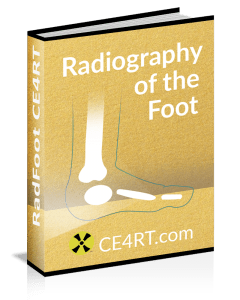 The diagnostic tool is safe for the patient as well as the technician as no ionizing radiations are emitted. There is no need to use a contrast agent or dye. The procedure does not cause any discomfort to the patient and is not time consuming too. The test can be performed in younger as well as older women with almost no chance of false positive or false negative test. The breast tissue density, presence of milk glands and glandular tissue does not affect the accuracy of the test. It can not only detect a lump with precision but can also differentiate a malignant growth from a benign one. The investigation procedure is comfortable for the patients as they can lie down during the procedure. The array of sensors can be arranged over the area of interest in fixed position. There is no unnecessary compression and discomfort felt by the patient.